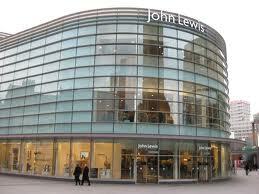 Liverpool shopping is world class, which is only fitting for a city that can shop till it drops. Shoppers are spoilt for choice between gleaming new city-centre shopping centres to boutique arcades, bohemian streets and farmers markets. Liverpool ONE, right in the heart of the city, is the shiny new designer Liverpool shopping centre that is home to more than 160 famous high street names, from John Lewis to Apple, Topshop to Cath Kidston. Then there is the exclusive Metquarter, where you will find more select fashion and beauty outlets such as Jo Malone, Molton Brown and MAC. For the boys there is Gieves & Hawkes and Tommy Hilfiger. But Liverpool shopping also has the ultra fashionable Cavern Walks, home to Vivienne Westwood and WAGS favourite Cricket, which sells impossibly expensive handbags and designer clobber.